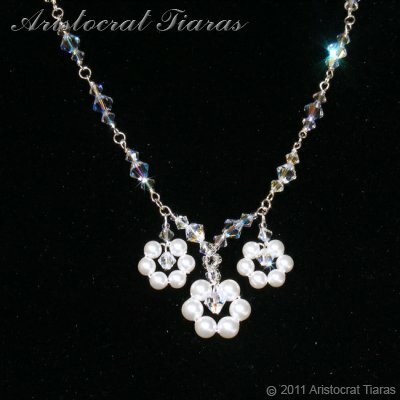 The Lady Petunia Flowers necklace features three flowers made of Swarovski white pearls. The centre flower grows out of a beaded stem whilst the others are dangling on the either side of it. The Lady Petunia Flowers necklace enhances the wearer's natural beauty with the bright white pearl flowers and sparkling crystals on the chain. A perfect companion to the Lady Clara earrings.